Intel is working with Deutsche Messe AG to present the Intel CEBIT Drone Park. Daily flight shows and live demos at the open-air site are showcasing the huge range of practical applications for these compact flying machines – and their extraordinary entertainment potential. Besides these purely pragmatic approaches, the Intel Drone Park at CEBIT 2018 in Hannover also has plenty of impressive sights to take in. At around 10.10 p.m. each day from Tuesday through Thursday, a specially choreographed CEBIT “Intel Drone Light Show” is taking to the skies over the d!Campus that’s guaranteed to stop visitors in their tracks. How can we be so sure? 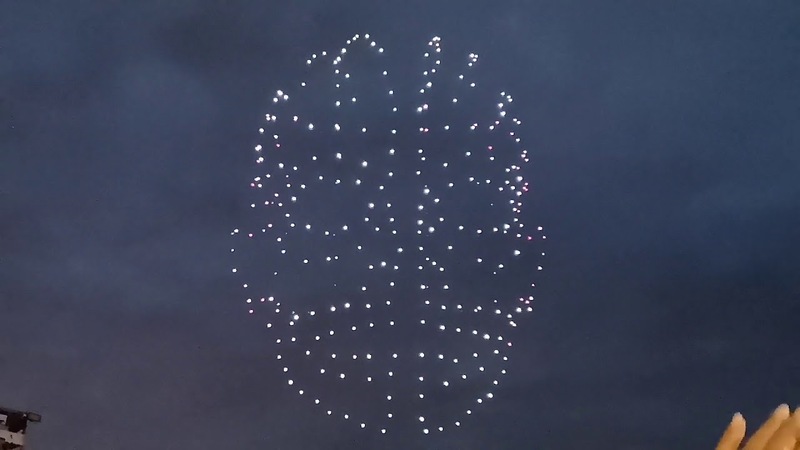 Well, the 300 LED-adorned mini drones of the Intel “Shooting Star” fleet already have an impressive track record, having dazzled crowds at the Winter Olympic Games in PyeongChang and in front of the Hotel Bellagio in Las Vegas. videotextreview Did a drone help a notorious French gangster escape from prison?